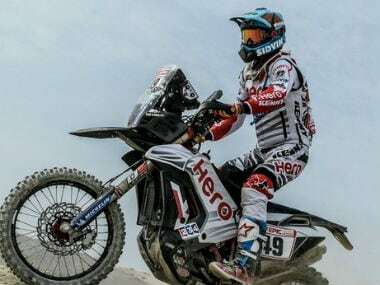 Pisco: India's CS Santosh was placed 28th overall, just behind his Hero MotoSports Team Rally teammate Oriol Mena, after the second stage of the challenging Dakar Rally 2018. The stage two was the first full-length stage of the Dakar with a short 12 km liaison section followed by a 267 km loop of Pisco. Competitors were challenged by the tricky canyons in the first 40 km of the stage made only tougher by the series of dunes that followed. With a tough stage on the cards, both the Hero riders decided to be cautious and steady. Oriol Mena finished the second stage at 27th place and Santosh at 29th but according to overall provisional standing, the Indian was 28th. In the third stage, the Rally moves to San Juan De Marcona, where the competitors can expect to encounter a Chott (dry/marshy saline lake), a number of canyons and almost 60 percent sand during the course of the 504 km of riding. 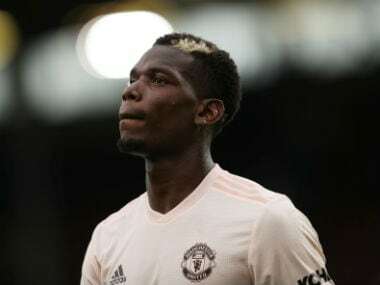 "The Dakar really kicked off today with a difficult stage. The sand was really soft and some of the dunes were really massive. I started really slow but then gained a good rhythm. I had fun today and really happy to make it to the end of day 2," Santosh said. Oriol Mena said, "It was a really hard day today but I covered the first half at really good speed and caught up with three riders in front of me. Before the refuelling station I had a slight problem and lost a few minutes there but happy that I finished today and now have one day less to arrive at Cordoba.